What kind of punishment best fits a convicted hacker? Jail time for serious computer crimes is almost a certainty, but for one ex-hacker, Higinio Ochoa, the terms of his parole also include being “banned from the internet”. A life without internet means a life without hacking, but it also means a life without a smartphone, email or even, say, Netflix. In an increasingly connected society, avoiding the internet altogether is no easy feat, but for Ochoa so much as opening Facebook could land him back in jail. As reported in the latest episode of Reply All – a podcast about the internet – Ochoa’s interest in hacking turned political around the Occupy movement in 2011, when he hacked into police department websites to expose officers who covered their badges while engaging in police brutality. 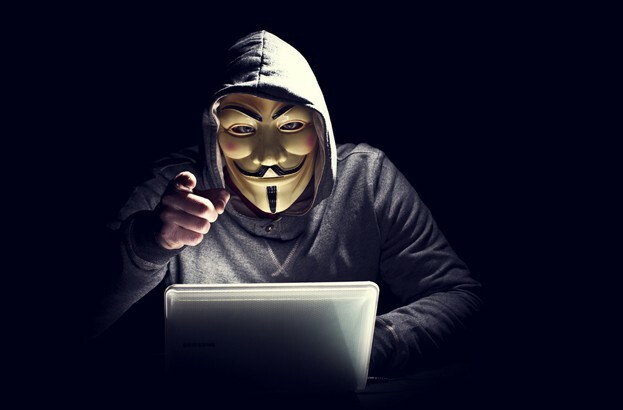 Using the code name w0rmer, he teamed with a group of hackers named CabinCr3w, loosely affiliated with Anonymous, and posted the names and addresses of the offending officers online alongside a signature message, “PwNd by w0rmer & CabinCr3w”. The messages would be left as an image which featured his fiance holding up a sign, but as Business Insider notes, the image was taken with an iPhone that had location services switched on. Unfortunately for Ochoa, this meant that the FBI could trace it back to her exact coordinates, eventually leading them to her Facebook page on which her relationship status read “Engaged to Higinio Ochoa”. Ochoa spent 18 months in prison, after which he was released under the condition he would not access the internet. As Gizmodo reports, he still works as a programmer, but when he wants to send code to his boss he has to print it out. Meanwhile, his wife now browses Netflix on Ochoa’s behalf, leaving it running on auto-play. “My wife and son have taken the place of the internet for me,” he told Reply All. To learn more about the case and Ochoa’s life without the internet, listen to the episode in full on the podcast’s website.